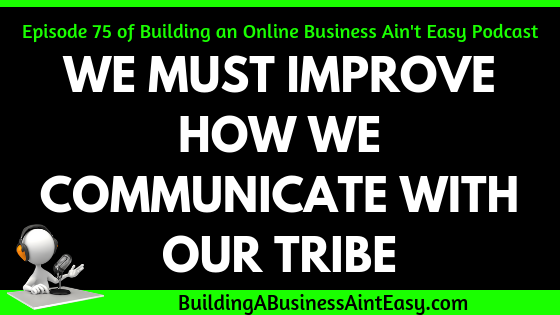 I've been spending the past week working on my communication points with my tribe. Whether is it my weekly business tips or my communication funnels. I'm on a mission to improve my communication and I'll share how it is going and what is working for me currently. Each week on the Building a Business Ain’t Easy Podcast, I share my journey with building an online business for local small business owners to help them grow their business. I’ll share the struggles all new business owners face and together we can realize we aren’t alone on this crazy journey.